With a 400-mile range, the Rimac C_Two is a pure electric GT Hypercar as capable on track as it is crossing continents. 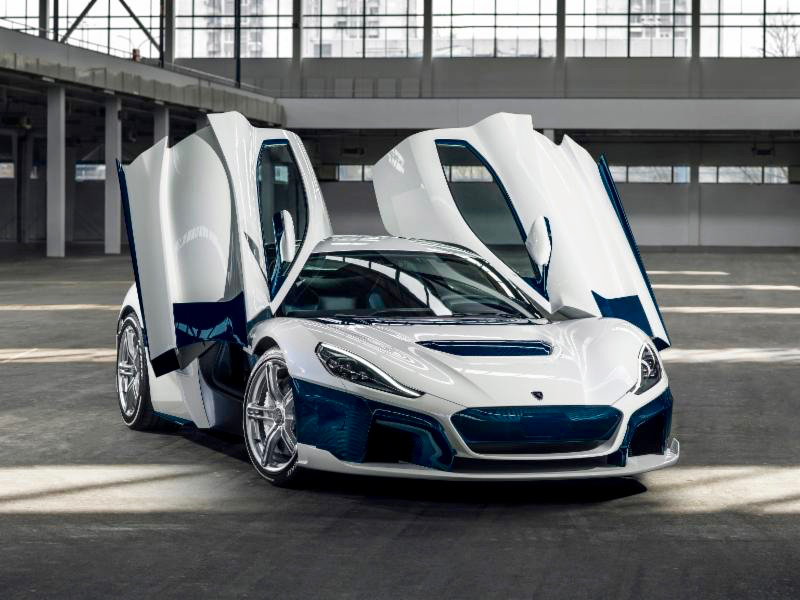 Powered by four independent permanent-magnet electric motors giving it four-wheel drive, the C_Two has software-controlled torque vectoring that helps power it to a top speed of 258 mph and a 0-60 time of just 1.85 seconds. The car is also technologically capable of Level 4 of autonomous driving and is unlocked using facial recognition technology! 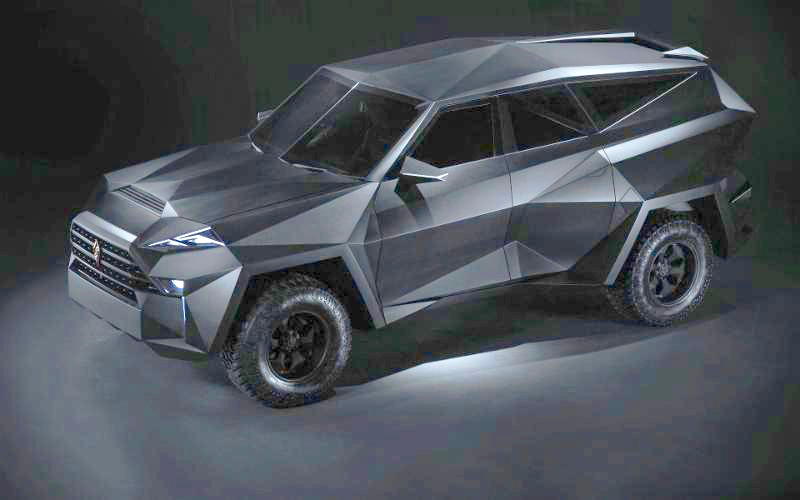 Showing off a visual feast reminiscent of a stealth fighter jet, the Karlmann King is the world’s most expensive SUV, with a price tag of $2.3 million. The extraordinary vehicle is handcrafted in Italy where its interior is individually tailored to suit a customer’s every desire. Available with or without armor, it is powered by a 398-horsepower 6.8-liter V10 engine. 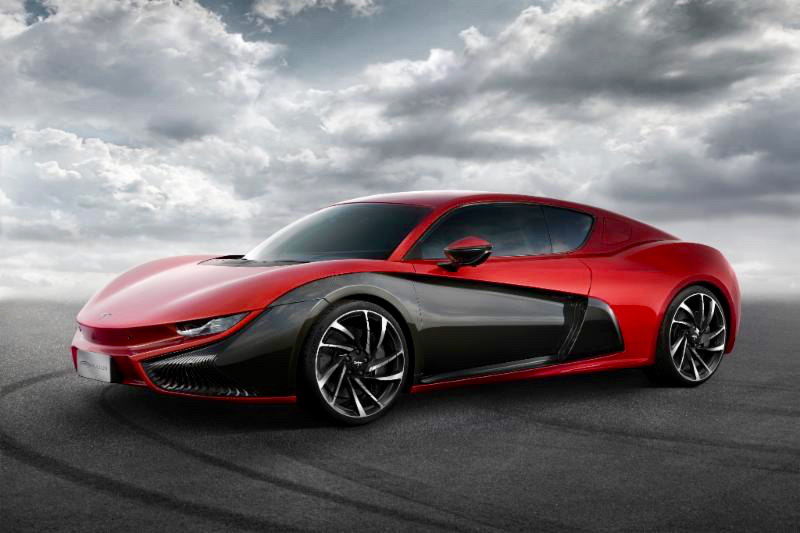 Mullen Technologies, a new American electric vehicle manufacturer, will show its luxurious electric Supercar, the Qiantu K50 for the first time in North America. The stunning flagship model combines a powerful 296kW/402 HP engine mounted on an all-aluminum frame with an aerodynamic carbon fiber design that combines lighter weight and stronger downforce for optimal performance and handling. This car is not just about the power. Flowing lines and sharp contours give the Qiantu K50 a fluid and beautiful design balanced by strength and presence. The sculpted carbon-fiber body adds a futuristic element and is available in six colors. 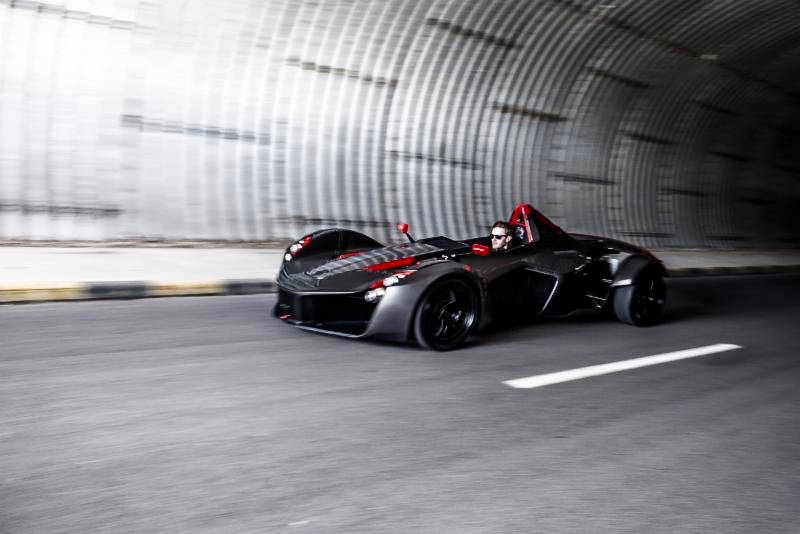 Briggs Automotive Company is the British manufacturer behind Mono, the world’s only road-legal, single-seat Supercar powered by a 305-horsepower engine that whisks it from 0-60 mph in 2.7 seconds and on to a top speed of 170 mph. From performance to unique vehicle aesthetics, Mono drivers are offered a truly bespoke buying experience – every single Mono rolled out of the BAC factory is a one-of-a-kind vehicle! The SCG 003S is a road-legal luxury GT that is hand-built in Sleepy Hollow, NY. 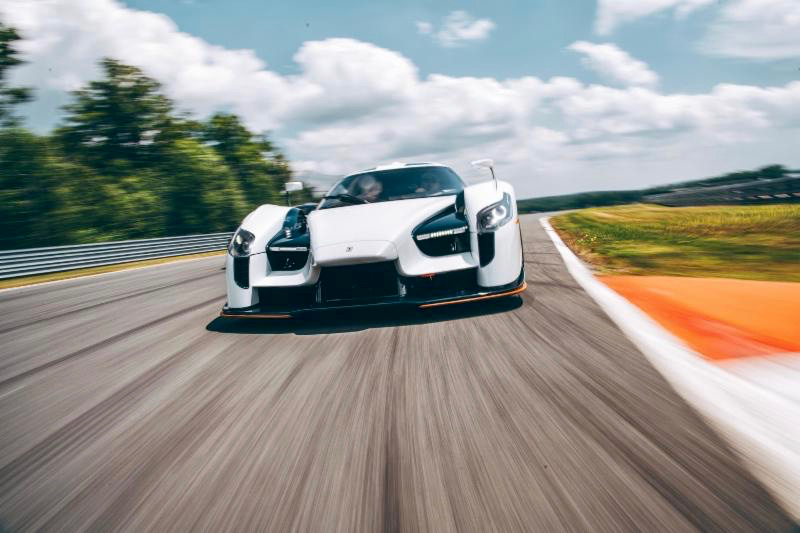 Built from the ground up to be the ultimate racecar for the road, the SCG 003 is a road-legal luxury GT that is powered by BMW’s 4.4-liter reverse flow twin-turbo engine with dry-sump lubrication, the 700-horsepower Supercar has a top speed in excess of 230 mph and a 0-60 mph time of under 3 seconds! 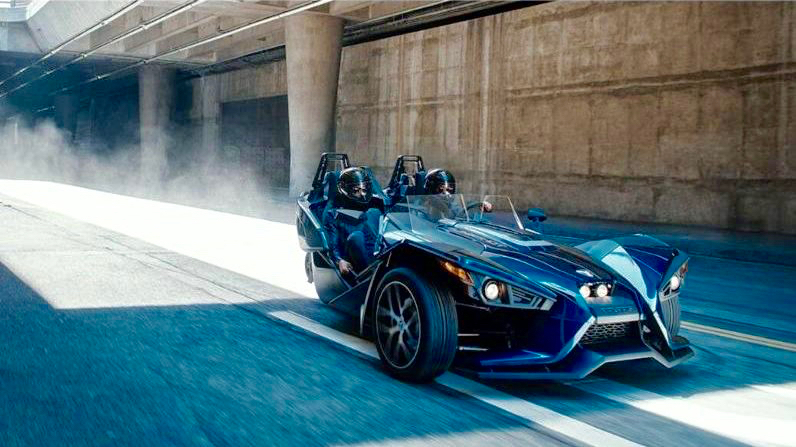 Polaris Slingshot, a three-wheeled, open-air roadster is all about fun, whether that’s driving it through twisties or city streets, taking it on long joyrides, or customizing it with Slingshot and/or aftermarket accessories. The Slingshot is powered by a 173-horsepower 2.4-liter DOHC 4 cylinder engine and boasts ABS disc brakes and electronic stability control. Its 2019 lineup features four models starting at $20,999. 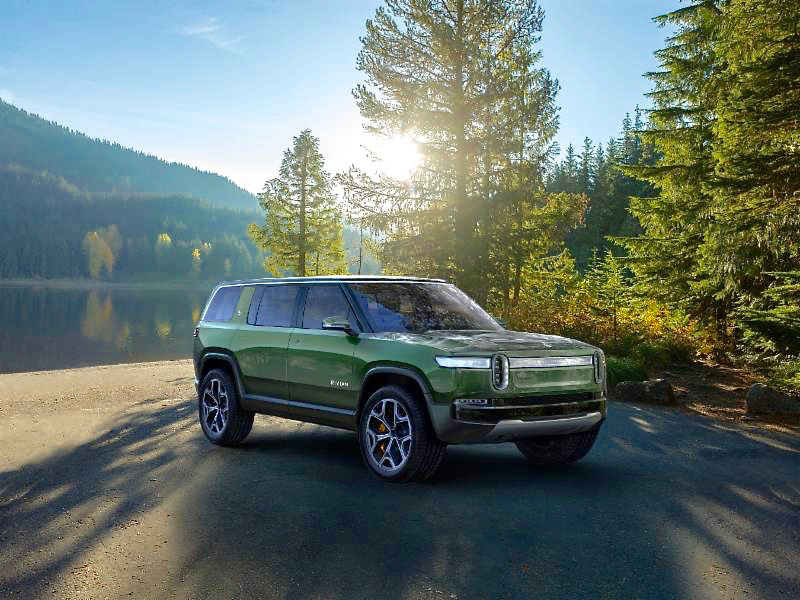 Rivian will be showing the R1T 5-passenger pickup and R1S 7-passenger SUV. The vehicles feature up to 400+ miles in electric range and lightning fast 0-60 times at 3 seconds. Both will be built at Rivian’s manufacturing facility in Normal, IL.